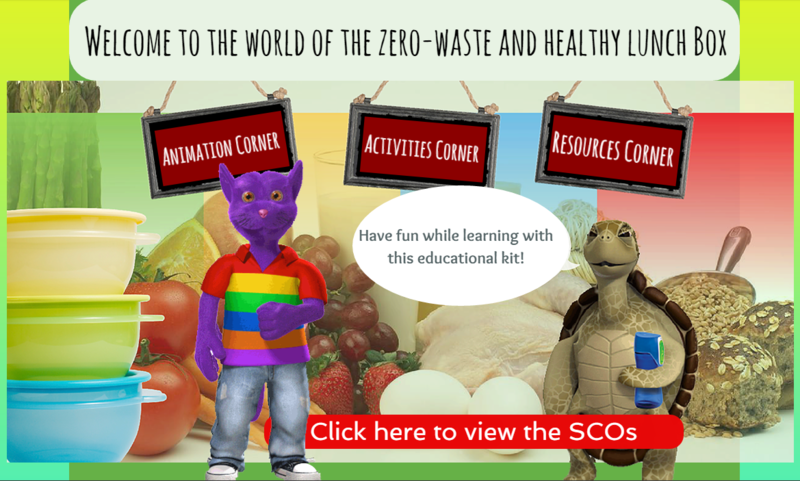 This educational project helps students and their parents learn about how to eat healthy foods, protect the environment and save money! 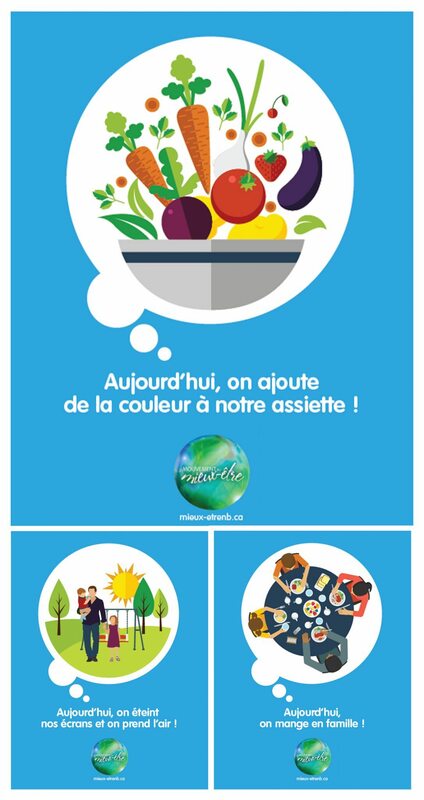 This program is set out for the Francophone and Anglophone primary schools of northwestern New Brunswick, but we encourage everyone from all over the world to consult our vast array of online resources and start packing a zero-waste and healthy lunch box and snack today. In order to provide primary school teachers with educational and interactive resources, an online educational kit was developed. Its content targets several Specific Curriculum Outcomes (SCOs) of study programs established by the Department of Education and Early Childhood Development. This website features fun and dynamic educational videos in its “Animation Corner”, suggestions of activities in its “Activities Corner”, as well as promotional tools such as posters, banners and promotional items in its “Resources Corner”. 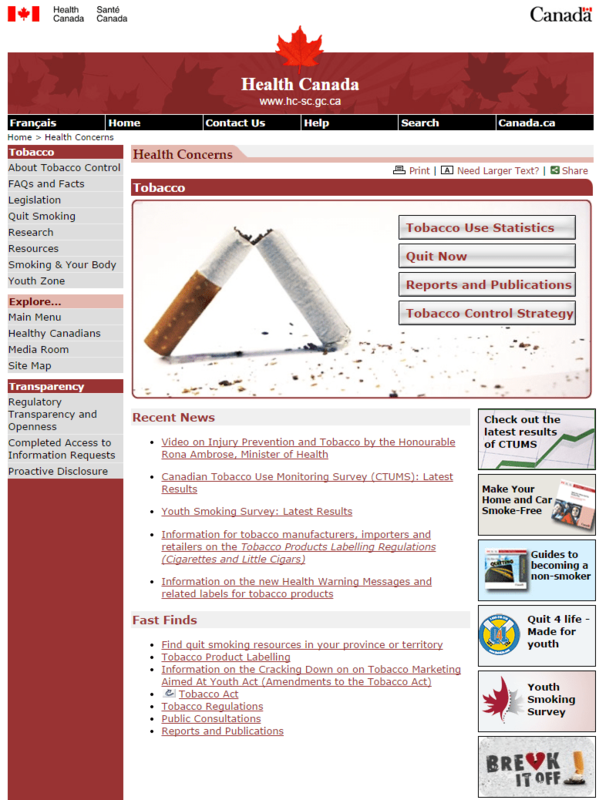 A portal from Health Canada to tobacco-use survey results, different regulations in regard to tobacco and cigarette marketing. What do you have when you combine healthy exercise with hands-on street-proofing lessons and reduced air pollution emissions? A WALKING SCHOOL BUS! A Walking (or Cycling) School Bus is two or more families traveling together for safety. 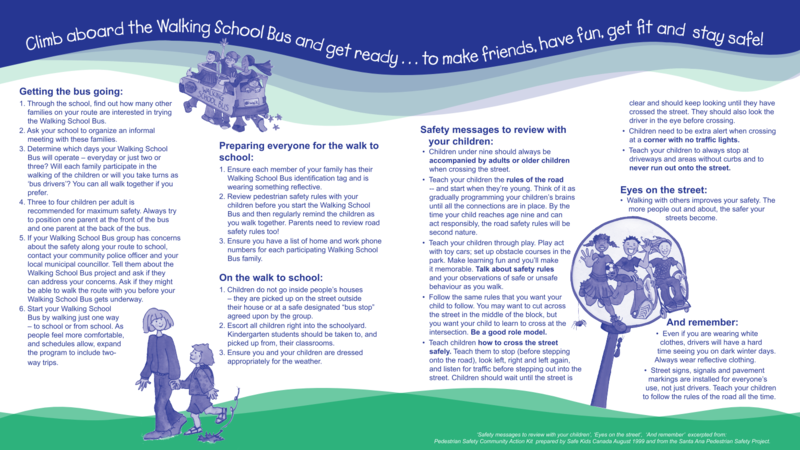 See this flyer for more information about how to start a Walking School Bus in your community. 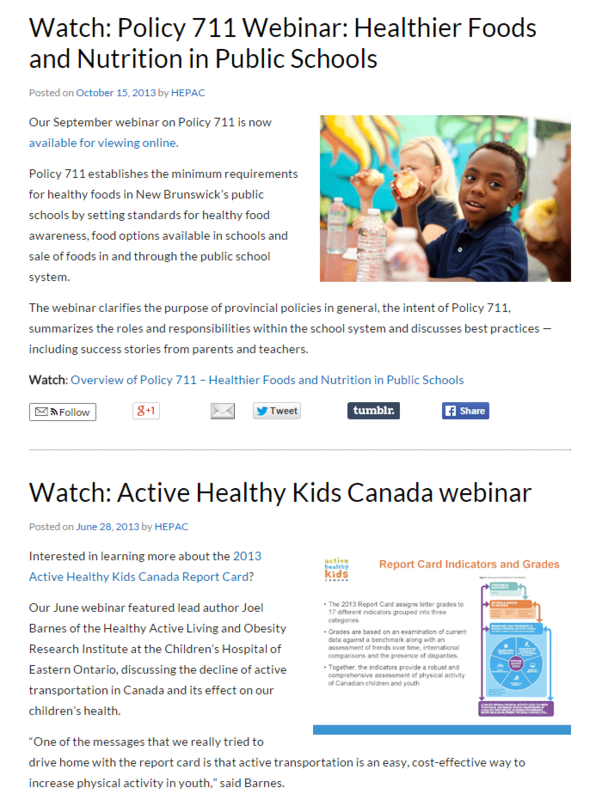 The Healthy Eating and Physical Activity Coalition (HEPAC) offers interesting webinars on a regular basis, covering different aspects of wellness. Recordings of previous webinars are available on their website for you to view and use at your convenience. Would you like to add some colour in your home AND promote healthy eating among your family? Here’s the perfect tool to do so! 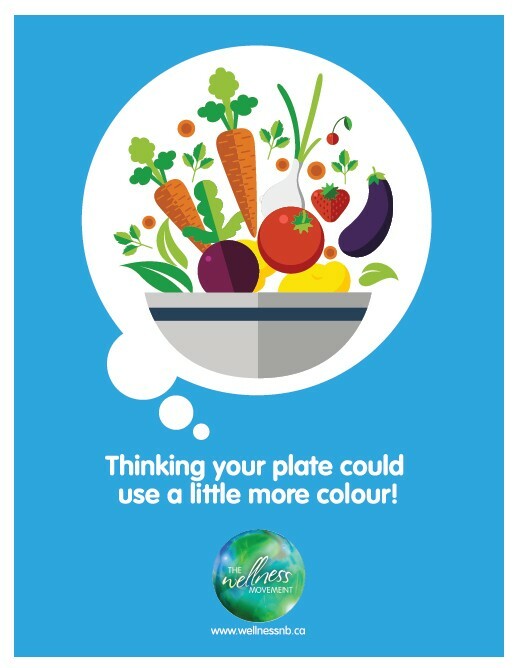 You can print these colourful posters on any home printer to decorate your house and encourage your family to add some colour to their meals, and therefore adopt a healthy lifestyle. Would you like to add some colour in your home AND promote mental fitness and resilience among your family? Here’s the perfect tool to do so! 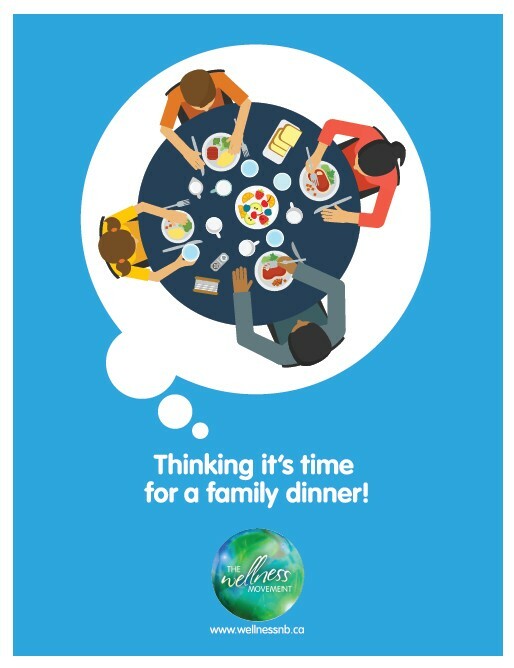 Print these colourful posters on any home printer to decorate your house and encourage your family sit together for a family meal, a good way to enhance relatedness among your family, and therefore positively impacting their mental fitness and resilience. Would you like to add some colour in your home AND promote physical activity among your family? Here’s the perfect tool to do so! 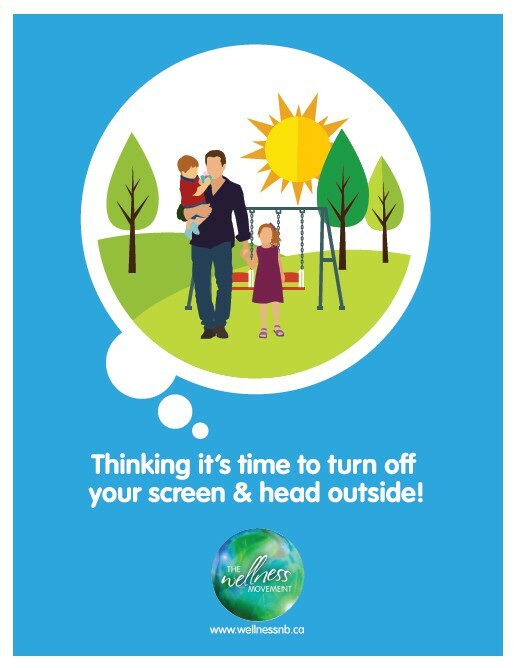 You can print these colourful posters on any home printer to decorate your house and encourage your family to turn off their screen and head outside to play, therefore adopting a healthy lifestyle. Would you like to add some colour in your home AND showcase a wellness-focused message? Here’s the perfect tool to do so! You can print these colourful posters on any home printer to decorate your house and encourage your family to adopt a healthy lifestyle. This PDF document includes 3 posters in a 8 1/2 by 11 inches format (Letter) that promote healthy eating, mental fitness and resilience, and physical activity. A tip card about healthy eating, one of the focus areas of The Wellness Movement. A tip card about mental fitness, one of the focus areas of The Wellness Movement.